Welcome to the 326th edition of the Rantings of the Guild Stalker, your one stop spot to get all the juiciest tidbits. But if you hear it here, you probably didn't hear it first, unless you did--in which case I call Shaman Iguana! TA-DA! *spins in a circle* You like it? That's right the Trial of Style is back from now until March 24th during which all transmog is FREE! If you don't know what the Trial of Style is or just like reading guides, check out this guide on the event. AND in even better news, there are new ensembles to obtain as well. Remember that this event doesn't come around all that often so get it while you can (The next time it looks to be on the calendar is the end of August). As I mentioned, the Brawler's Guild made a comeback with 8.1.5--which is great (if you ask me, which you didn't, but you get my opinion anyway). Several guildies have already even earned their Bruce mounts. If you're new to the Brawler's guild or are just having trouble with any of the fights wowhead has updated their Brawler's Guild Strategy Guide and that might help you in your quest. If you aren't opposed to spending money, there are also some new toys in the in-game store that are available for purchase. Check out the toys and info here. Also, if you've been paying attention you might have noticed there are two new Tortollan world quests. There is the cycle of life where you play as the crab from the beachhead world quest and the perhaps bane of all existence--the new Calligraphy world quests. Now, I dunno if anyone else in the guild has tried them, but they are HARD. And if that weren't bad enough they added a Master Calligrapher achievement for the achievement whores...ohhhh my goodness this is nuts. If anyone figures out any clues let me know because holy hannah it is a nightmare. Distained was nominated for helping two guildies get caught up with their Jaina storylines in order to unlock the Kul Tirans. He ran dungeons and helped them find the quests. We really appreciate all you do to help out. "As a guild we're constantly walking the line between badass and dumbass!" I know I mentioned this last week--but I want to give people one more week to say ME ME ME! So, one more time for those who may have missed it...there are a few things so far in this expansion that would be so much easier with a guild group...so we are putting out the call to find others who would be interested in completing these tasks (and thereby making the whole thing easier with guild groups). Motherlode & Engineering Pattern: Motherlode drops the pattern (engineering) for the Mecha-Mogul Mk2 mount. We are looking for people (preferably engineers--but other helpers are totally welcome) who would be willing to help run as a group to get the pattern and then grind out the materials required as well. Let Rho know if you are interested. Hivemind Mount: This is the multiperson mount (for those who help complete it) and it looks awesome. Sections of the questline require 5 people, so if we can get groups set up people will be much more able to get it completed. You know you want one! If you are interested in either of these (or both) just let Rho know and we will try and set up some groups. Just a reminder that there are new channels and roles to check out and sign up for. It has been a good week, we got to work on Jaina twice and we made good progress--in range of killing her soon I would say. We also made great progress on Grong and we were within the last 10% several times. Remember that the rest of the raids for March. We are rearranging what we do on the various raid days--so be sure you check the calendar to know what you are signing up for. So here is the tentative plan: Tuesday will be normal progression, so we will be working on the lockout from the previous week. Thursday will be fresh heroic. Saturday will be Heroic Progression, where we pick up on the lockout from the previous week. Lastly, Sunday will be a fresh normal. Now, there is one other teensy bit of bait to get people to come to Sunday. We are going to allow up to 2 alts (you have to sign up on the alt and make sure to tell me the roll). Only 2 alts per Sunday raid because we want to keep the raid strong enough that we can still clear a number of bosses for gear. 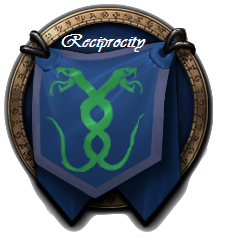 We will rotate who gets to bring alts, but remember that mains get loot priority over alts. One last thing, the in-game calendar was (although maybe with the patch it is fixed) not letting people sign up as tentative. So, until it is fixed if you want to sign up as tentative just let me know and I can change your accepted sign-up to tentative. If you have questions let Rho know. Let's keep kicking some raid behind.